Private saloon boat Welmoed is a classic cruiser. Build in 1932 in Friesland, The Netherlands. The private saloon boat was first owned by a doctor. Who used the boat to visit his patients. By the end of the 20th century, private saloon boat Welmoed came to Amsterdam. Reinhard and Miloe restored and renovated Welmoed. The private saloon boat is made out of steel and Mahoni wood. The private saloon boat has leather seating and a build-in heater. Private saloon boat Welmoed can transport 12 people maximum. 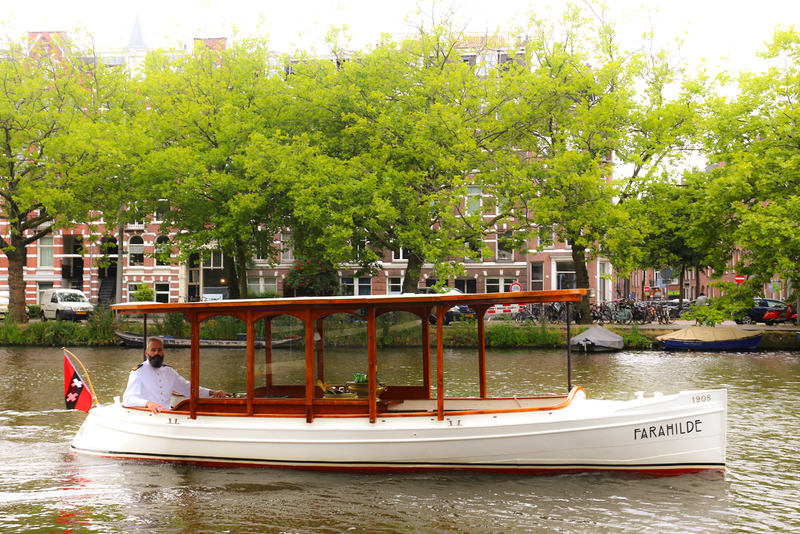 Do you want to read more about our other private saloon boat, Farahilde? Please click on the image on the left.